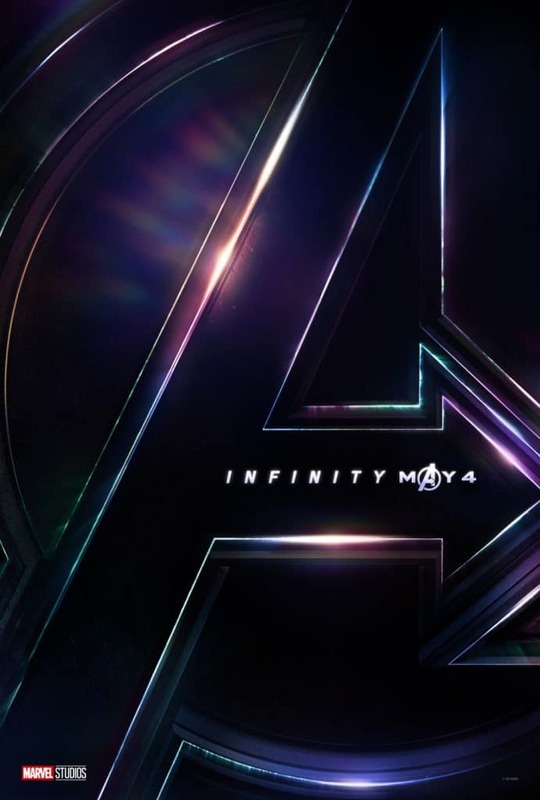 Avengers is one of the most successful franchises in MARVEL cinematic universe and fans can’t get enough of it. Right from the “The Avengers,” the audience has loved this epic superhero movie with many superheroes coming together and working as a team. The team was initiated by Nick Fury, director of S.H.I.E.L.D. after Loki got access to Tesseract, a dominant energy source of unknown potential. However, by the end of the movie, we lose Quicksilver in a tragic accident. 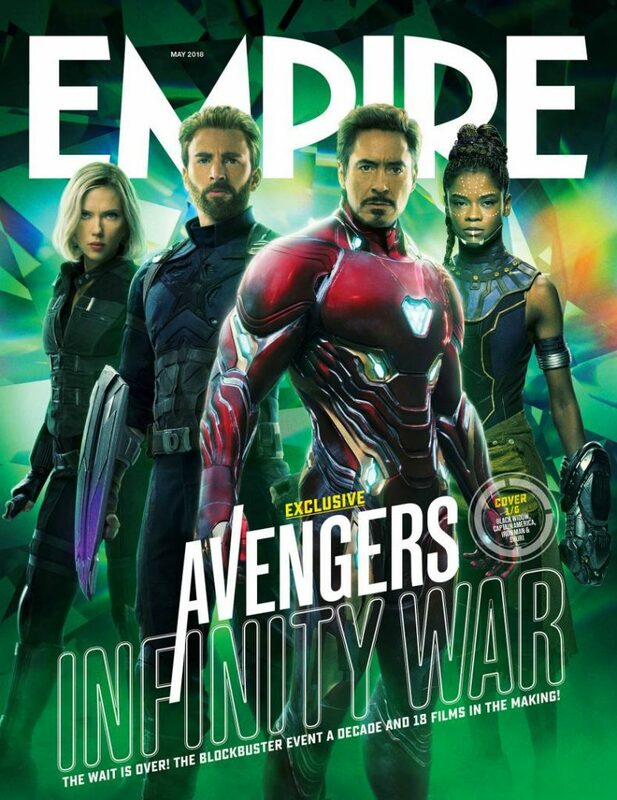 Other films which introduced new members of Avengers Infinity War include Ant-Man, Dr. 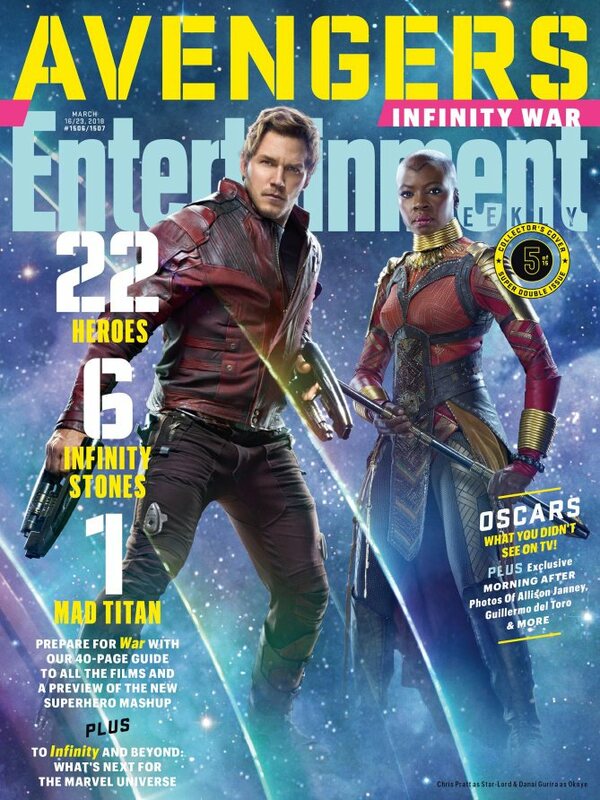 Strange, Guardians of the Galaxy, and Captain America: Civil War, which added following superheroes in the Marvel Univers who will unite to find Thanos. 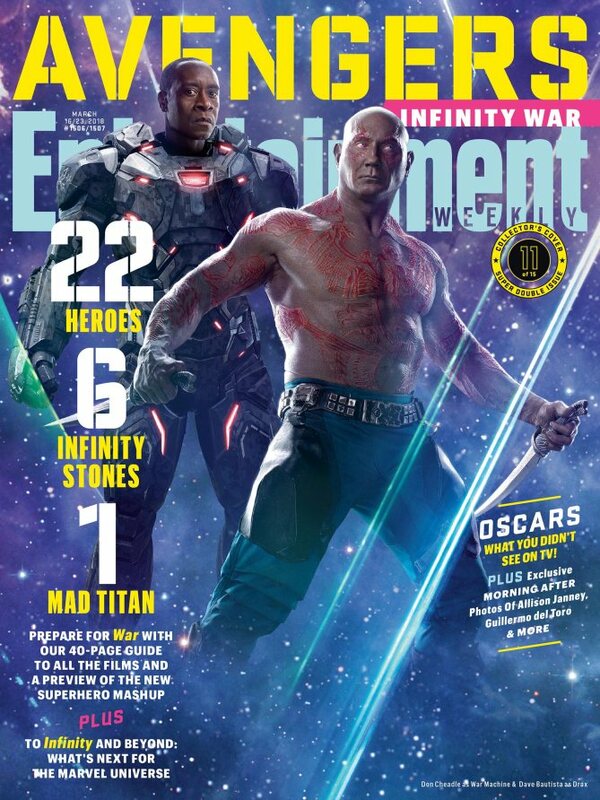 The third installment of Avengers, i.e., Avengers Infinity War will see a mad titan Thanos against a fight with our beloved superheroes. The movie is all set to release on April 27th, 2018, one week prior to its earlier scheduled release post. Not a Marvel fan? Check out Batman v Superman poster collection. Ready to experience the awesomeness? Here you go. The first official Avengers: Infinity War poster was released by Tom Holland and Mark Ruffalo on 29th November 2017, via Instagram. 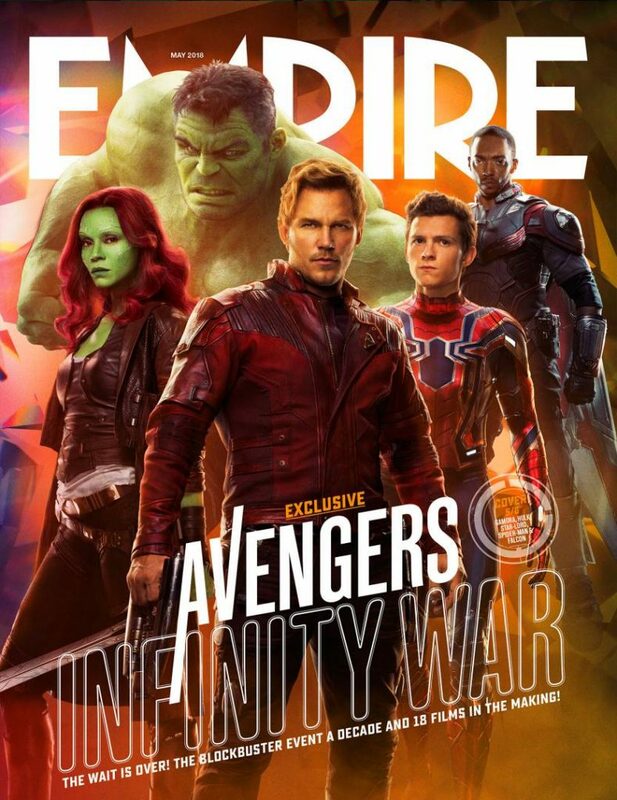 Although this poster doesn’t have anyone featuring but the official logo of Avengers, it sure did excite the hell of us! 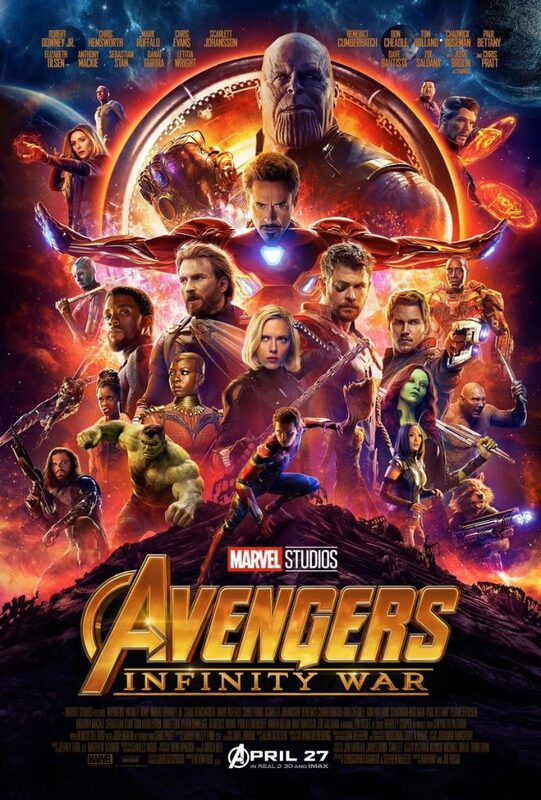 In the second official poster launched by Marvel, there are 23 superheroes and a big bad guy Thanos above all of them. 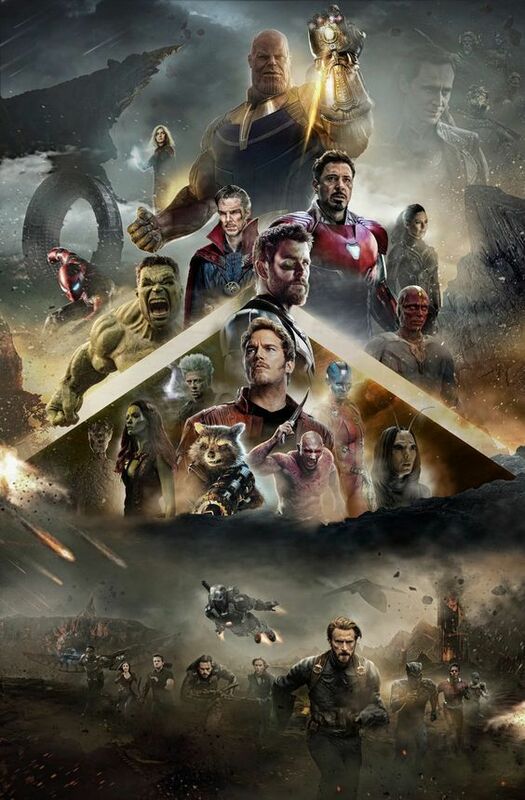 The poster does look like inspired a lot from Thor’s Ragnarok official poster with Iron Man standing in a weird position. 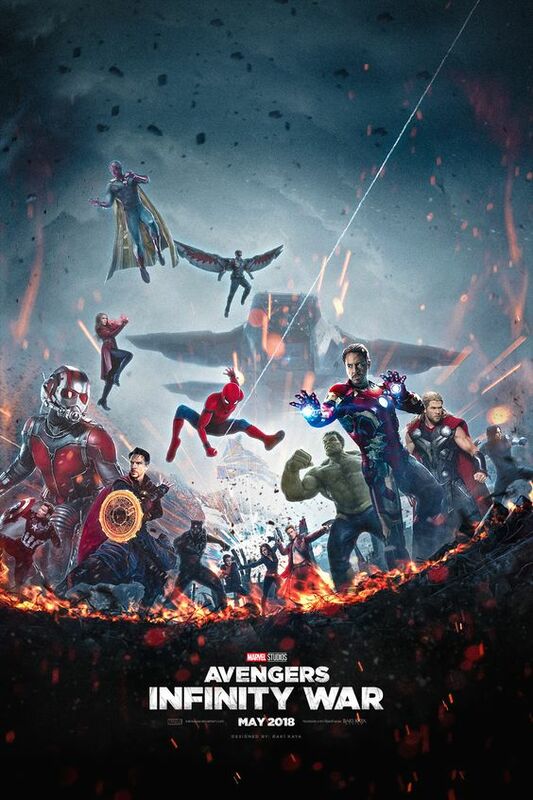 Try to find Ant-Man and Hawkeye in the above poster. You won’t because they aren’t. 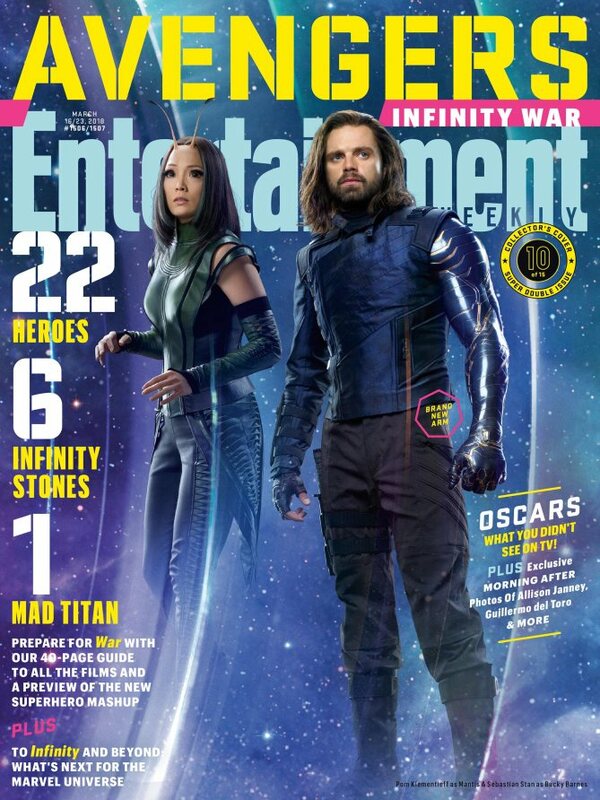 The fans of Hawkeye were quite furious about him not being present but later discovered that he might be busy with “father and family” thing which is entirely understandable. 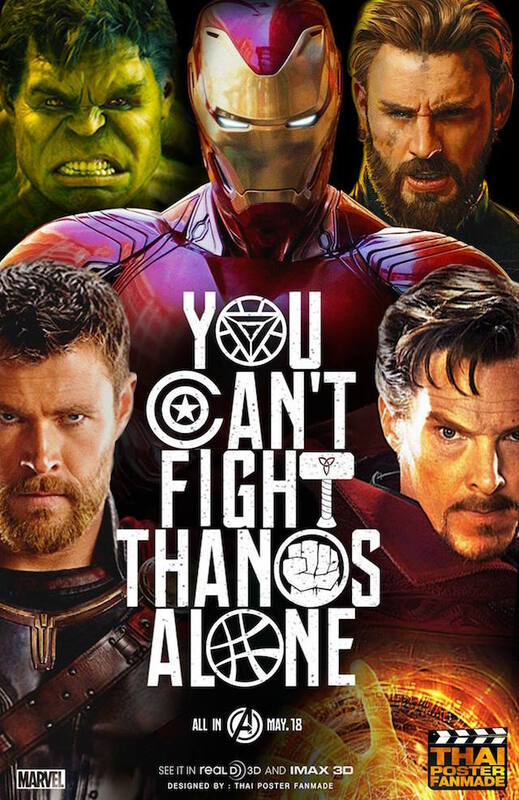 Since the in-house designing team of Marvel isn’t doing some appreciable work, fans from around the world decided to come up with their version of Avengers: Infinity War poster. 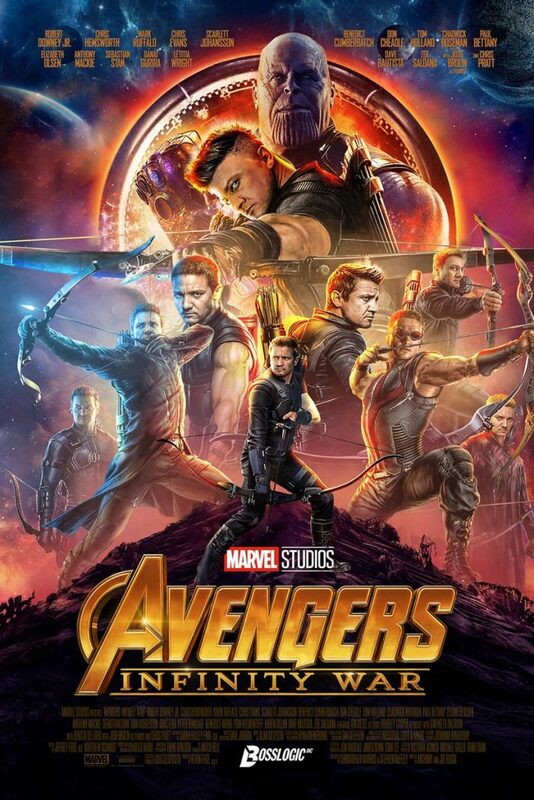 Well, if you were sad about Hawkeye not getting deserved feature in the official poster, BossLogic has designed this all Hawkeye poster which features him in different positions and costumes (even in Ant-man.) Definitely the best gift for Jeremy Renner fans. This is a direct hit to Marvel counterpart DC’s epic saga Justice League which was released earlier this year. 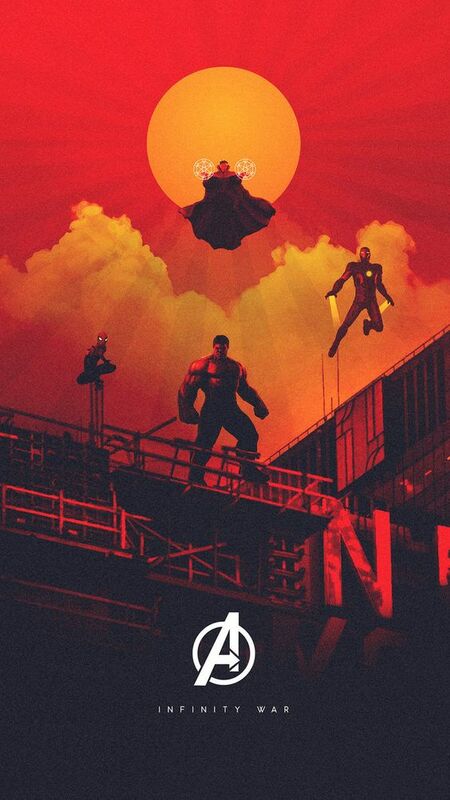 In the official Justice League poster, the poster read “You Can’t Save The World Alone” while in this fan-made, it has been changed to “You Can’t Fight Thanos Alone” with the same format. 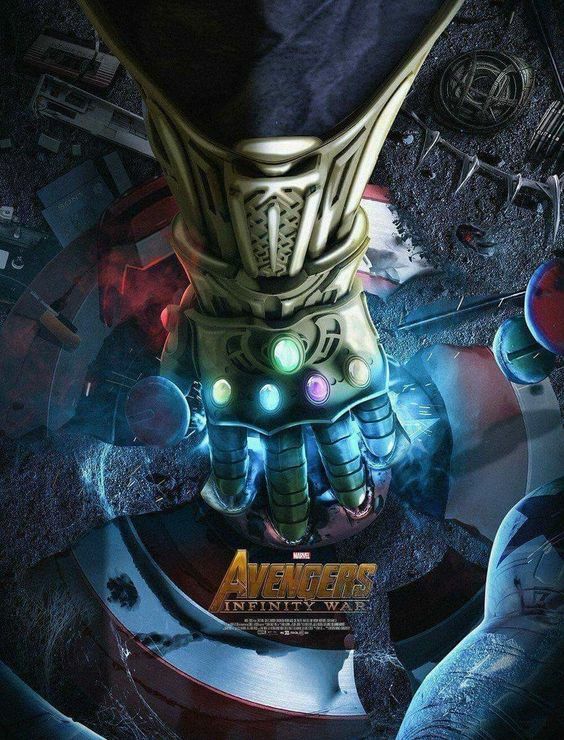 This epic fan-made poster of Avengers: Infinity War looks dope! Iron Man is flying in the center while Captain America is taking lead from the ground. 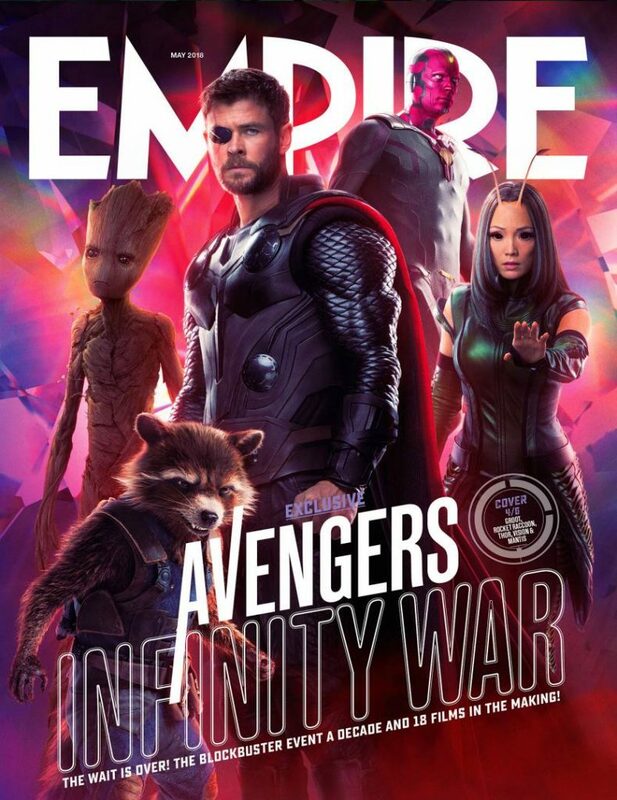 We also have Ant-Man and Hawkeye sharing equal space, while Guardians of The Galaxy are flying in their spaceship. 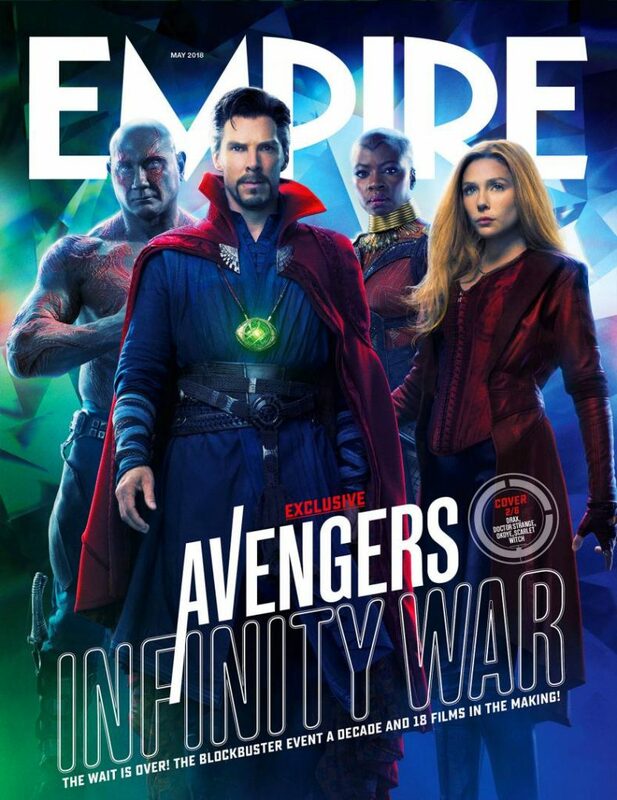 Above all, there’s Thanos in his furious look with all the infinity stones. 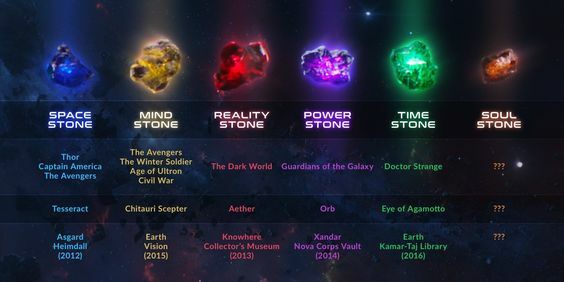 Talking about the stones, Marvel has swiftly introduced them to different films except for soul stone which is yet to be shown. 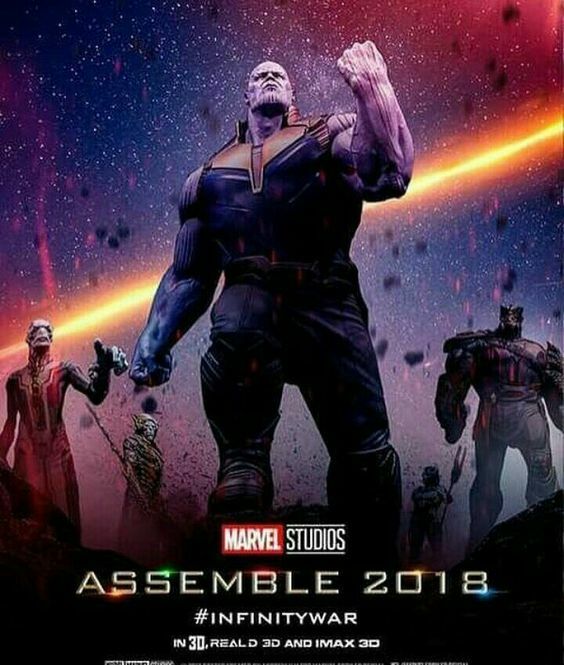 In this poster, you can see where are all the stones stored and possibly where Thanos would find them. 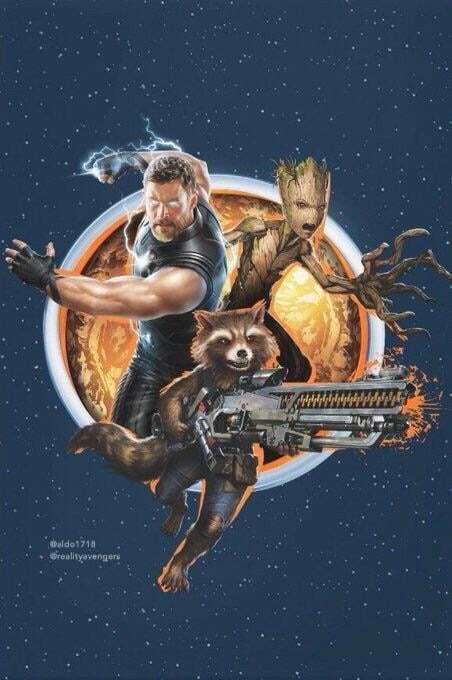 Another fan-made Avengers Infinity War poster with Thor, Groot, and Rocket sharing the space. 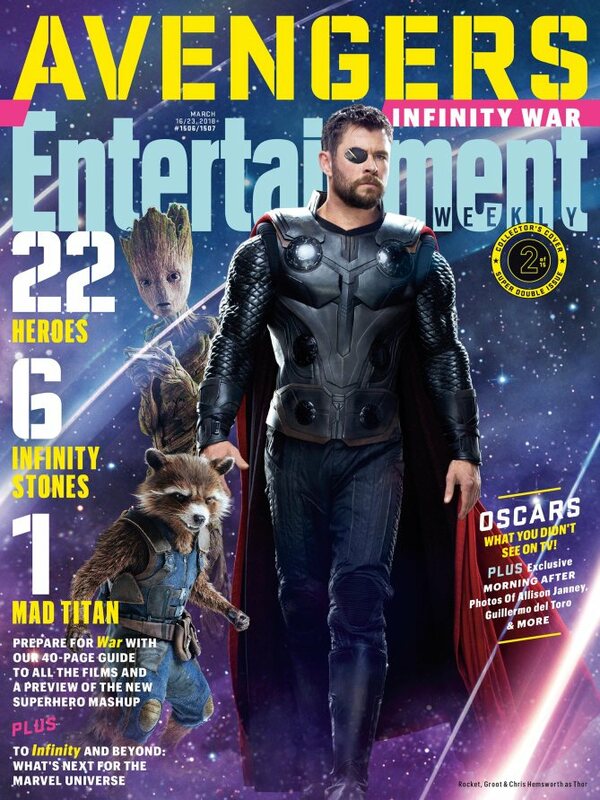 It is well known that Thor will introduce Guardians of The Galaxy to Avengers team as shown in a post-credit scene of Thor: Ragnarok. If you wanted a poster with all the superheroes (and not Thanos), here’s the one. However, it has only 12 heroes with other important ones missing. 9. All Hail Dark Side! If you’re like me, I love to be on the dark side and found villains more interesting than heroes (although they always lose at the end.) 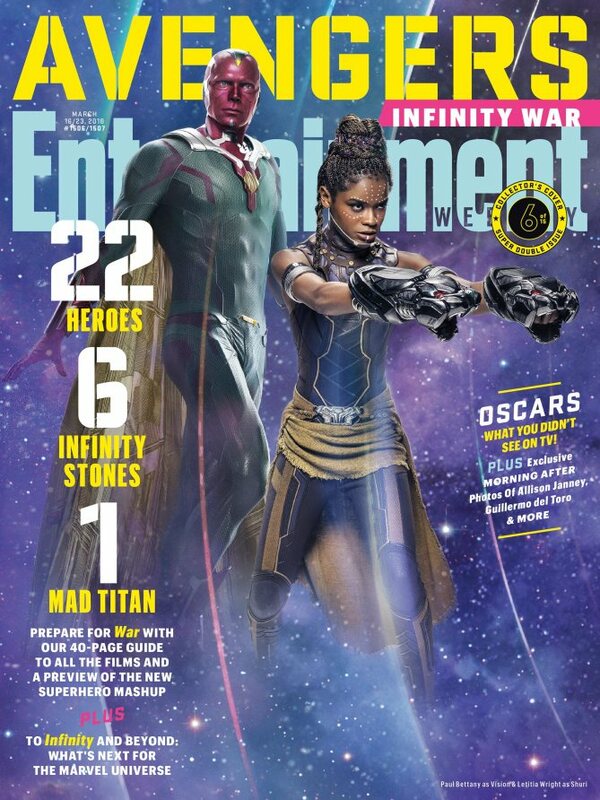 This Avengers: Infinity War poster features all the supervillains you’d see in the movie along with the mad Titan, Thanos. 10. Logan, Is that You? Do you remember Logan’s Official poster with his daughter holding her dad’s hand? 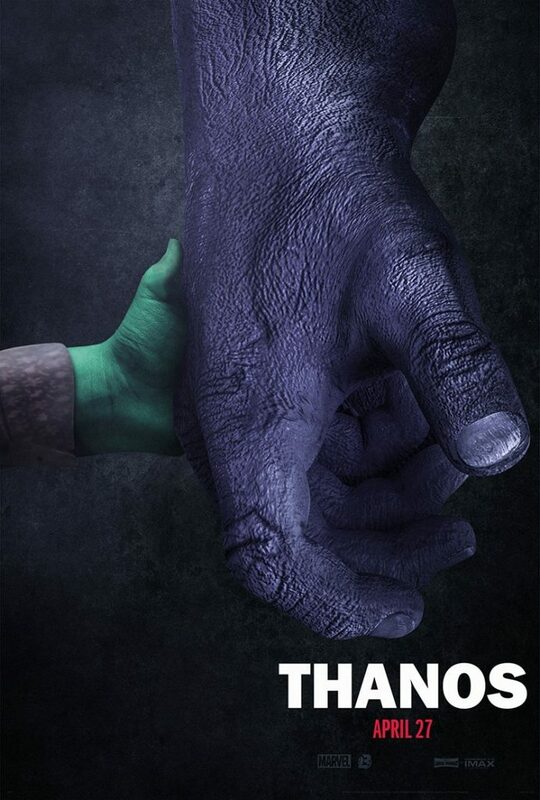 If yes, you can very well relate to this epic poster featuring Gamora and Thanos. 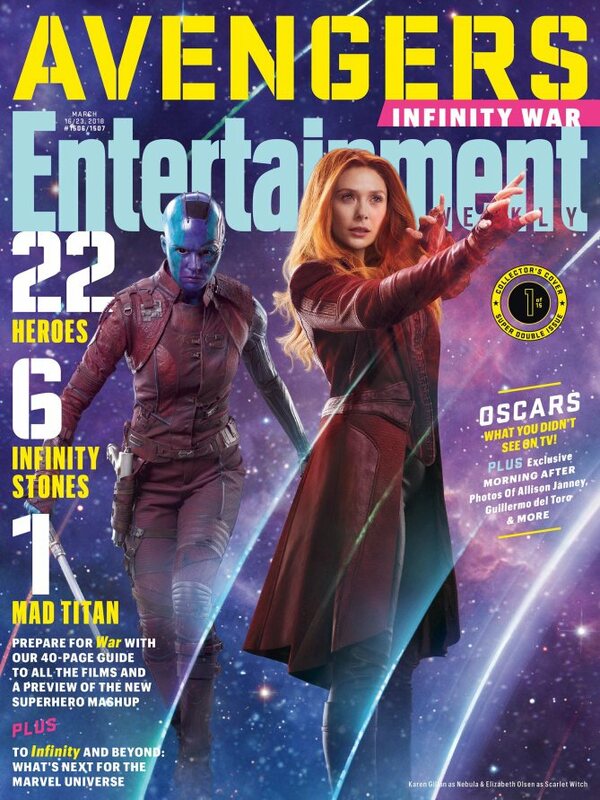 FYI, Thanos adopted Gamora as his daughter after he killed her entire race. 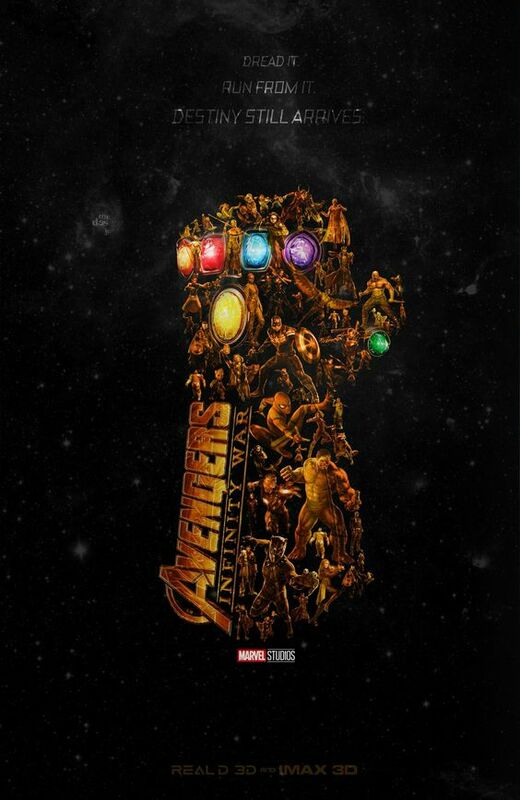 The poster was received so well by the audience that even @Russo_Brothers used it as their Twitter profile pic. 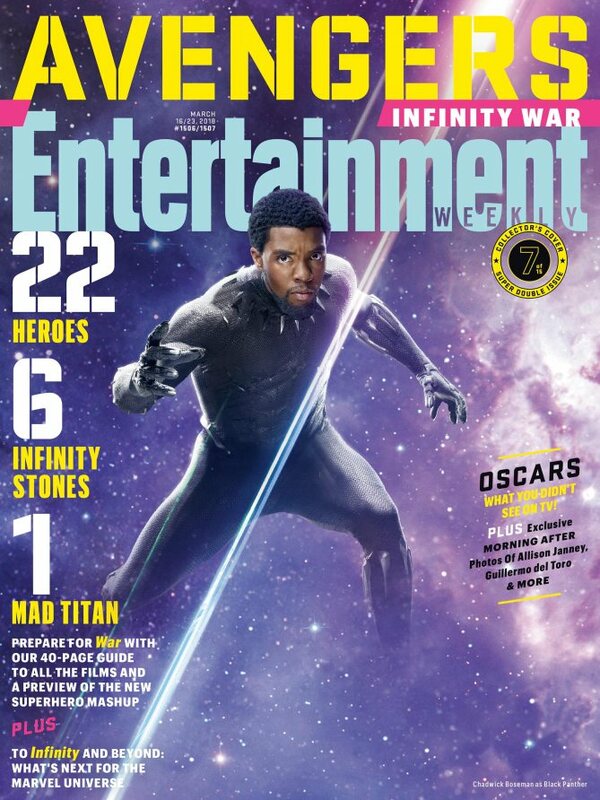 BossLogic is on fire! 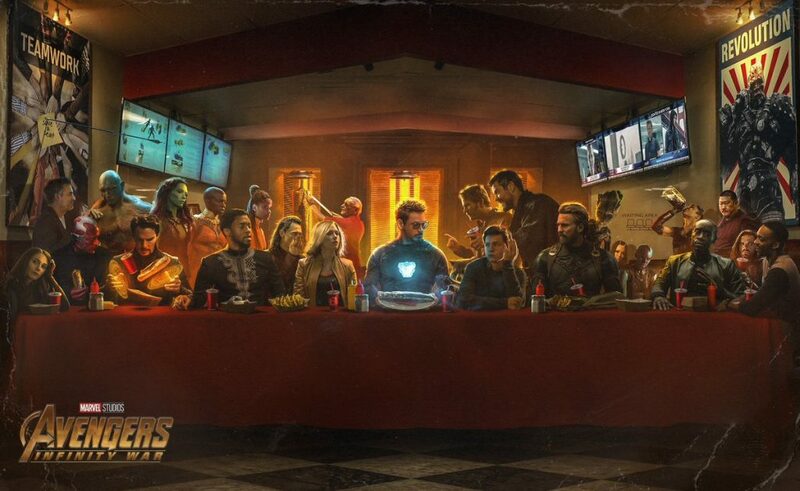 Another epic Avenger Infinity War poster with all the heroes eating the last Shwarma is shown here. If closely observed you can see Stan Lee as the store owner. 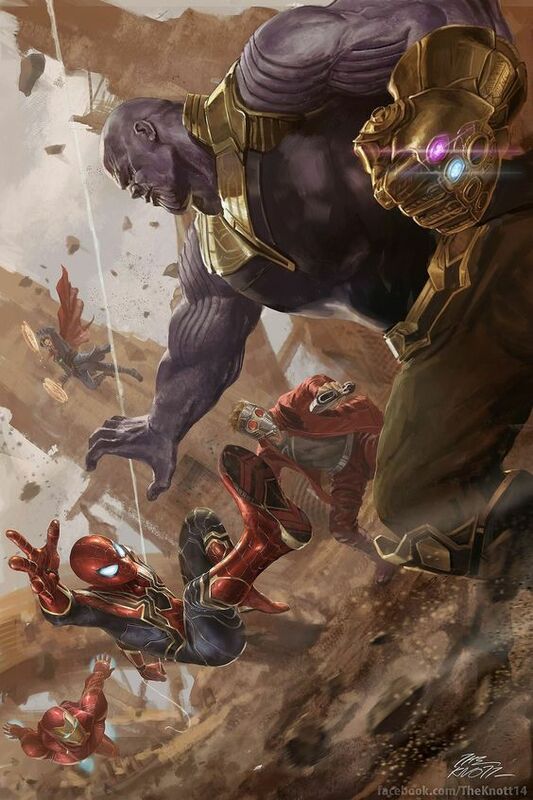 This is another epic poster featuring Iron-Spider, Iron-Man, Star-Lord, and Dr. 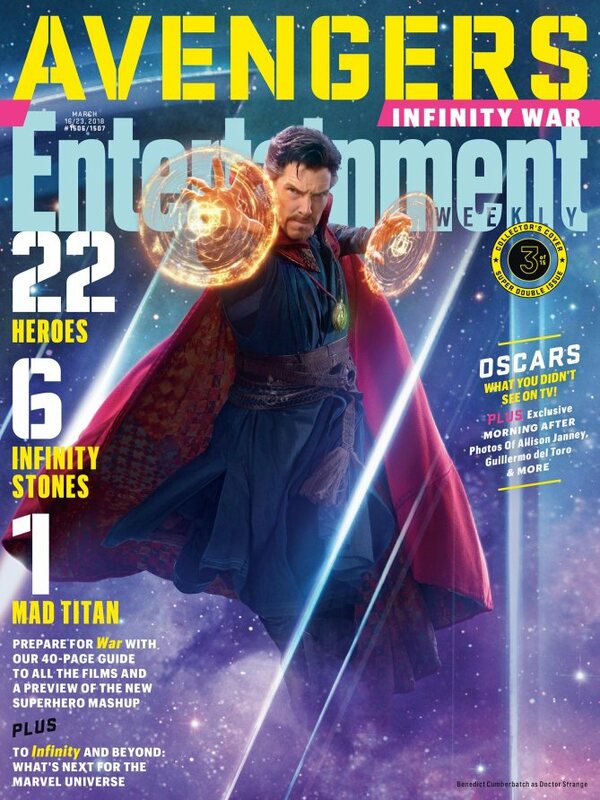 Strange fighting against Thanos. 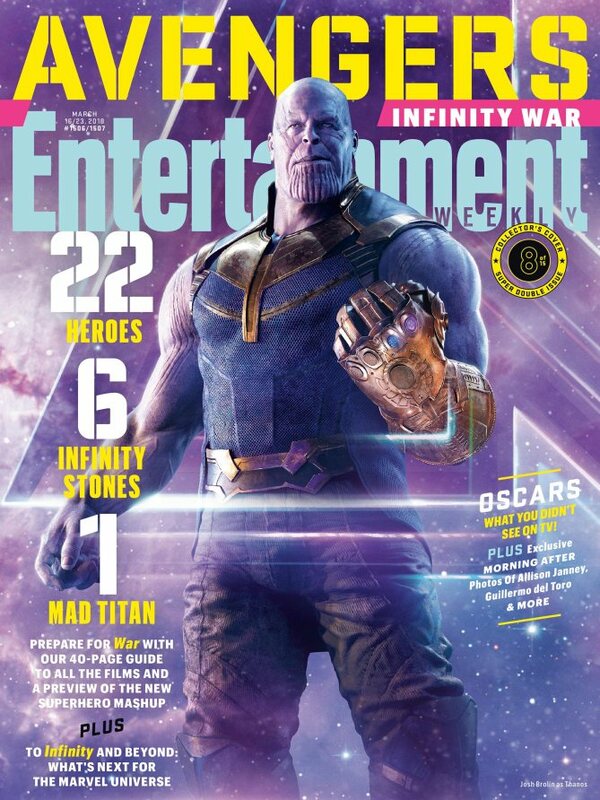 As you can observe, Thanos has only two infinity stones at this point. Do you think Captain America’s shield is indestructible, think again. 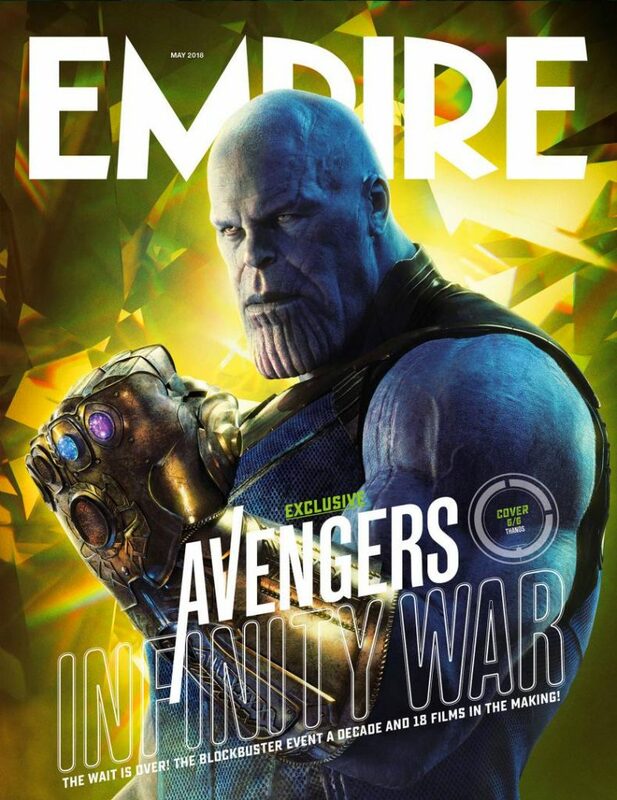 With Thanos strength along with all the infinity stones, it looks like a child’s toy. 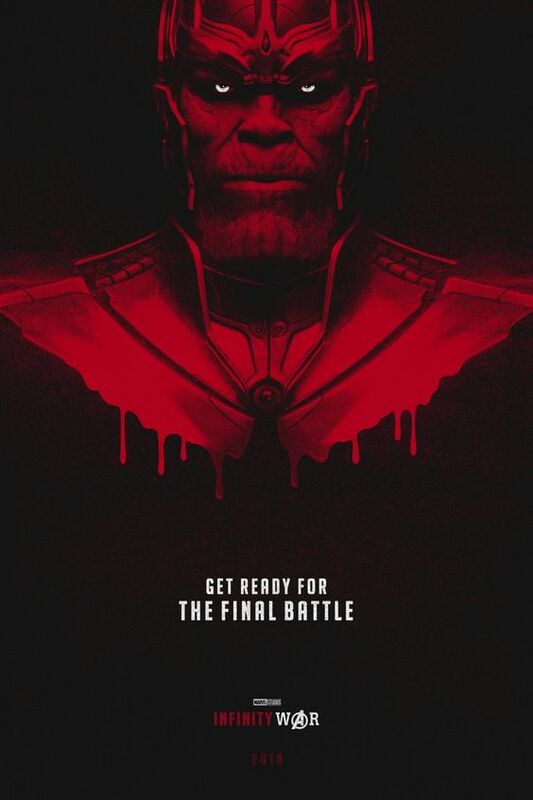 Whoever made this poster, sure knows the true power of the mad Titan. 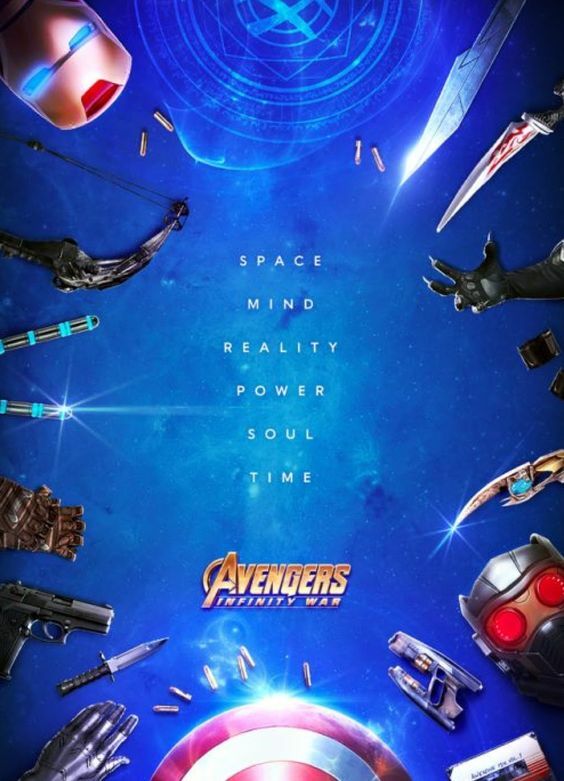 This is another epic Avengers Infinity War poster features all the weapons used by superheroes and supervillains. If given a chance, which one would you choose? 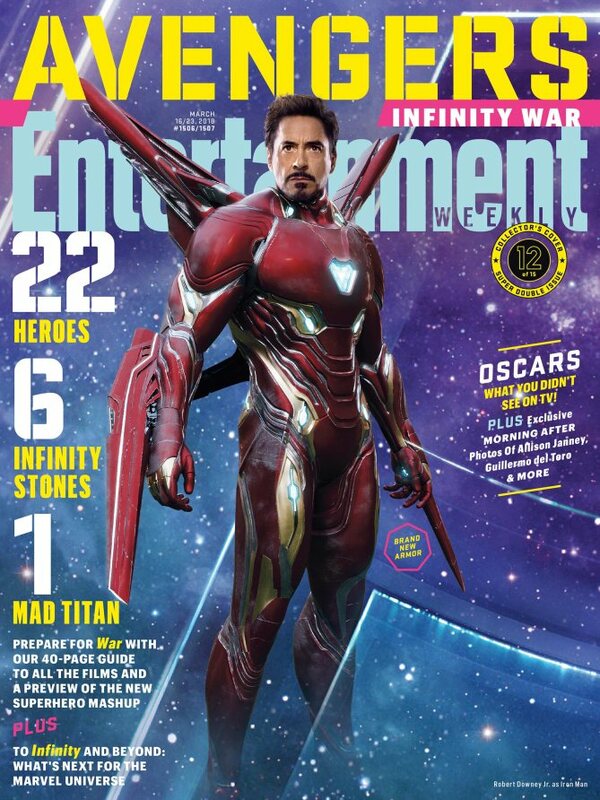 I would definitely go for Iron Man’s suit. 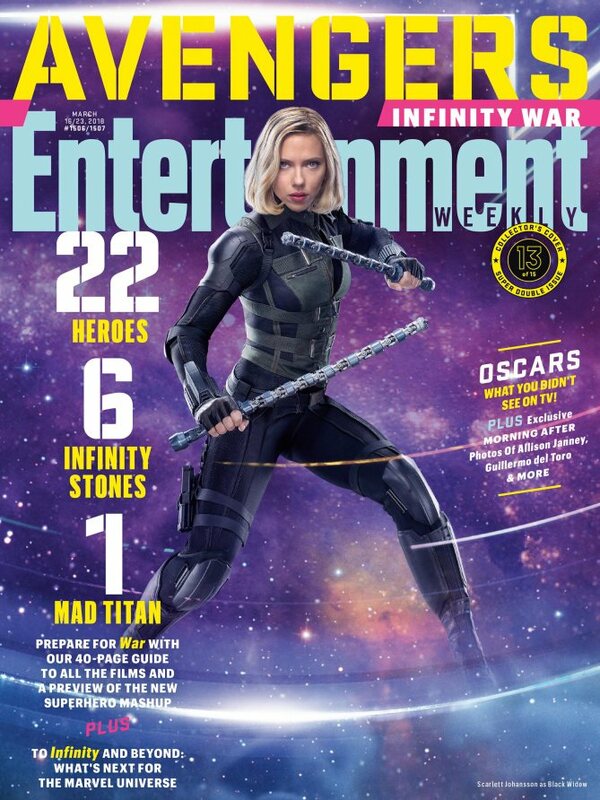 If you’re an Ant-Man fan and were worried about your favorite superhero getting less poster-space, this one is a treat for you. Another thing that sets this Avengers Infinity War poster set apart is that there’s no Thanos above all the heroes with his wicked smile. 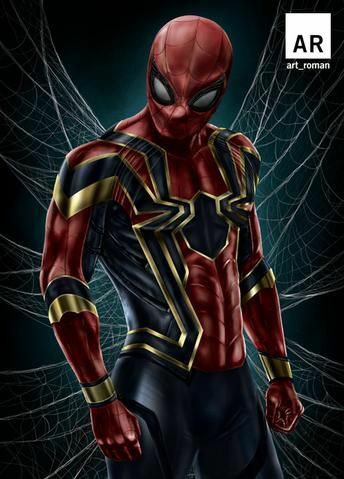 As we all know by this point and also shown in the latest Avengers Infinity War trailer, Spider-Man will be wearing his all-new Iron-Spider suit. It is designed by Tony Stark and packs all those amazing gadgets that make Spider-Man even cooler. The epicness of this poster is so damn high. It is divided into three different parts based on superheroes ability. At the top, there are all the villains which will appear in the film. 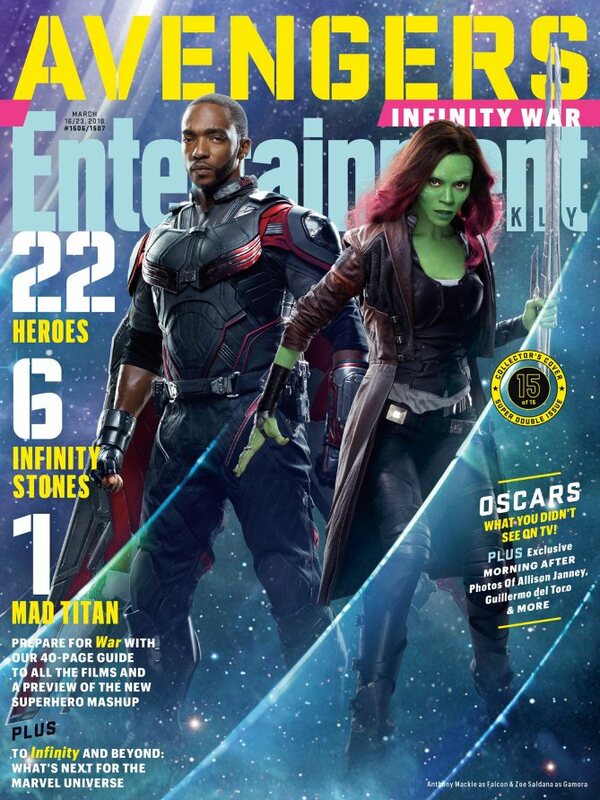 Also, if you have got a sharp eye, could you spot Captain Marvel? Although there is no official news about her being in the movie, let’s just wish she makes a cameo at least. 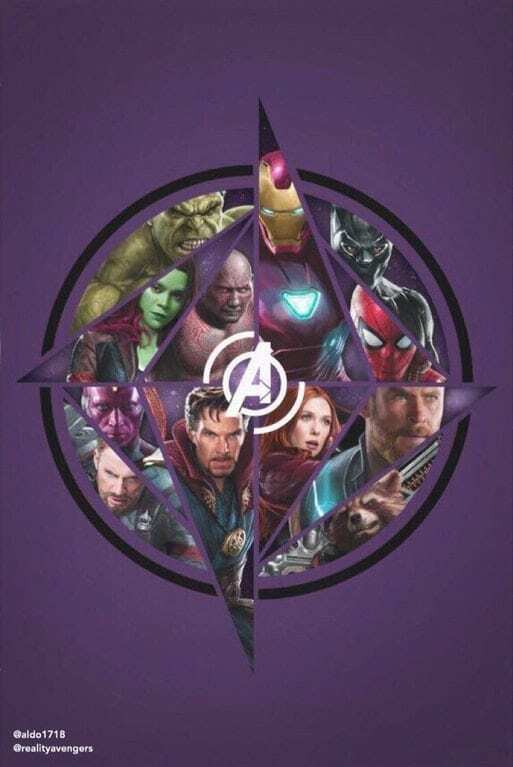 If you want a rather simplistic Avengers Infinity War poster, this one would do. With a red background, it looks classy and flying Dr. Strange adds chills to it. This one sentence raised one big question of whether or not we’ll lose Iron Man in this series. 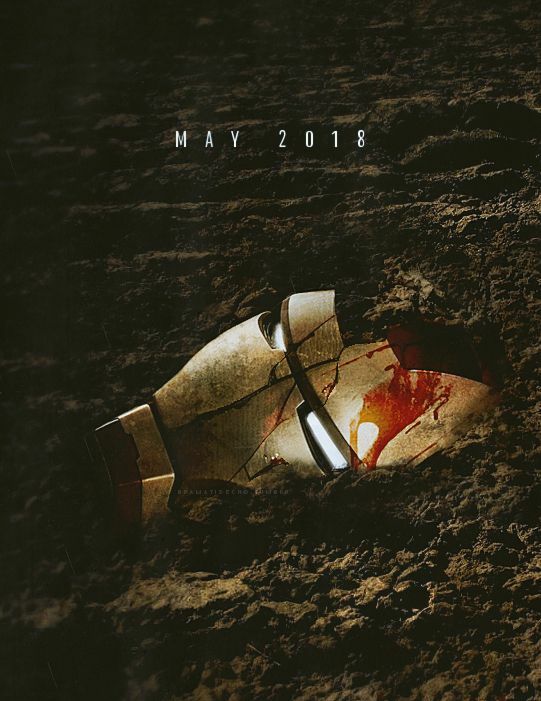 Although it’s hard to believe and fans don’t want to accept the news, I probably think the Avengers Infinity War will be the last movie with Robert Downy Jr. as Iron Man. Another masterpiece created by @mrdesignjunkie shows our heroes in action but captured in Thano’s Infinity Gauntlet. All though, fans from around the world have created amazing posters, we have room for more. 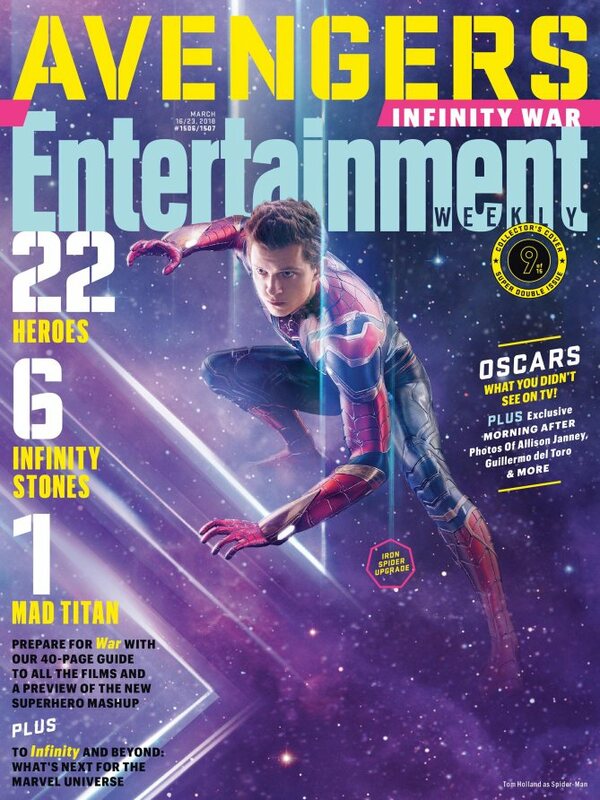 If you want to see each actor in his/her finest appearance, check out the 15 more amazing Infinity War posters created by Entertainment Weekly for their magazine. Few other heroes like Hawkeye (again! 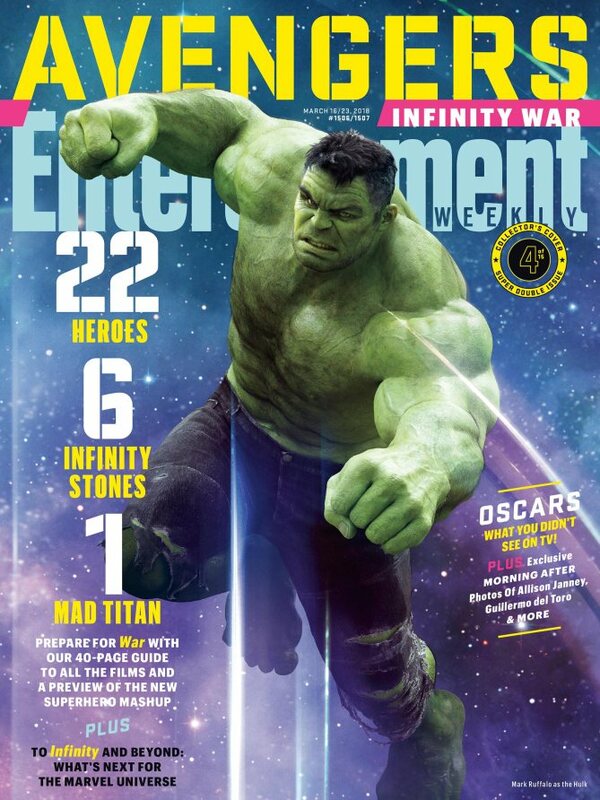 ), Ant-Man, and Loki are missing from these covers and hopefully will be created soon. 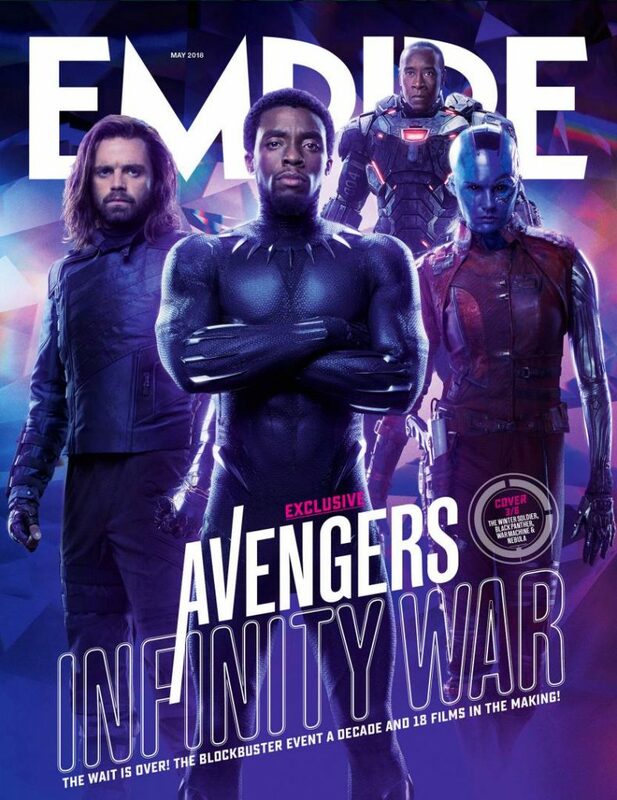 If all these posters weren’t enough for you, here are few more covers released by Empire Magazine with some awkward photoshoot and post-processing work. Are you as excited as we are for Avengers Infinity War? Yes! Download and print these amazing posters for free and hang your walls. To download these posters, hover over the image, right-click, and click on “Save image as…” option. 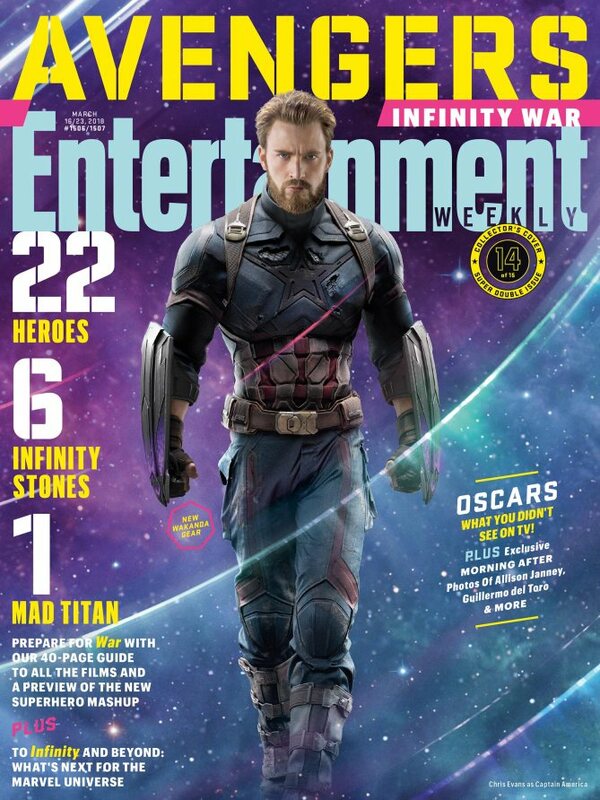 We’ll keep updating the post with more amazing Avengers Infinity War Posters, so make sure to bookmark this page and keep visiting. Share the post with your friends and let them know how amazing these posters look! If you want more, do check out other movie posters on our site. Disclaimer: We do not intend to claim any of these images as our own and try to give proper credits. If you’re the RIGHTFUL owner of any image and want us to give credit or get it removed, please contact us.